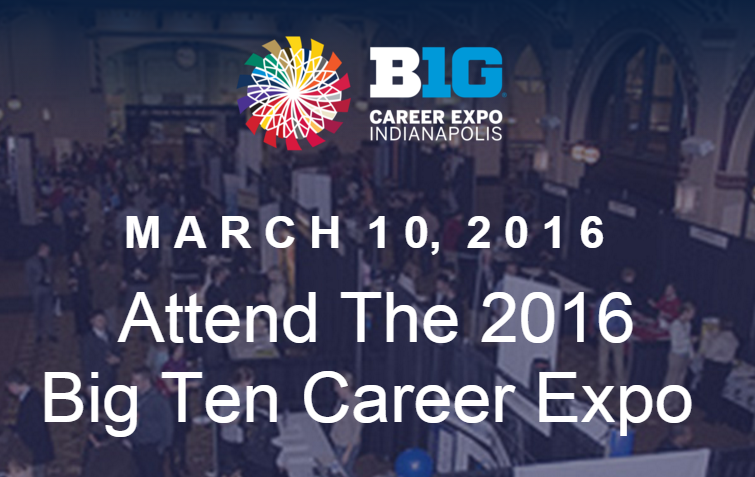 Attending the Big 10 Career Expo? – So Are WE! If you are attending the Big 10 Career Expo in Indianapolis on March 10th, drop by the KellyMitchell booth and say hello! The Big 10 Career Expo attracts students and alumni from the 14 universities that make up the Big Ten. Conference members are University of Illinois, Indiana University, University of Iowa, University of Maryland, Michigan State University, University of Michigan, University of Minnesota, University of Nebraska, Northwestern University, Ohio State University, Penn State University, Purdue University, Rutgers University, and the University of Wisconsin. Free to attend! Online registration is closed, but walk-up registration is free and open on-site at the event. During the Expo, there will be a breakout session focused on careers in sports. The session runs during the Expo from 10:30-11:30 a.m.
Past panels have included executives from Pacers Sports & Entertainment, the Indiana Sports Corp, local television journalists, representatives from the Big Ten Conference and many others. Attendance is free.